There are so many things happening in the higher ed space today. 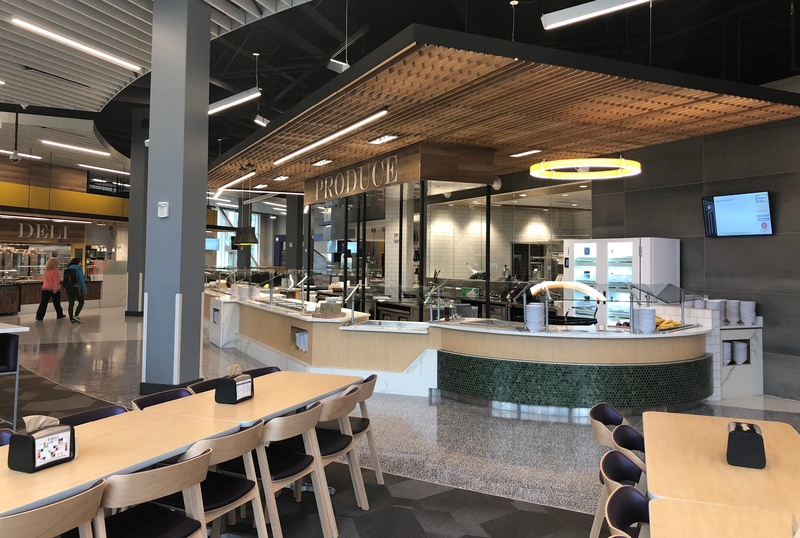 Dorms look like luxury apartments, student unions boast state-of-the-art movies theaters and bowling alleys, and cafeterias have morphed into dining meccas filled with any food you can possibly imagine. With those changes, we wanted to get an expert opinion on what's next in the ever-changing world of higher education design. 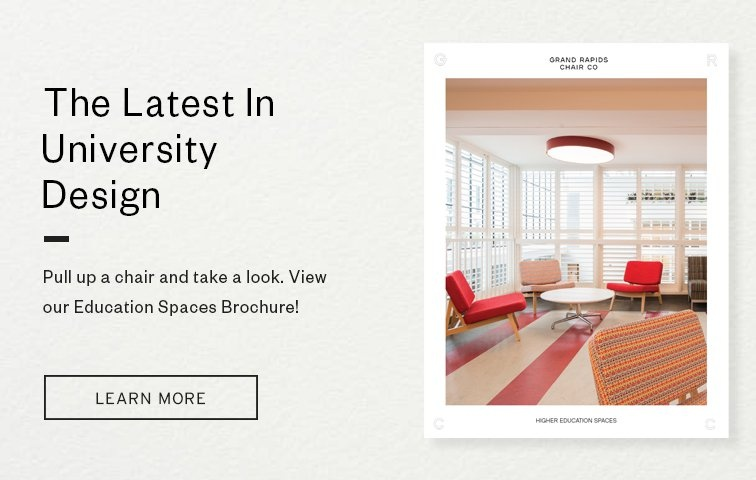 So, we turned to lead interior designer Fabie Derbigny of Tipton Associates to learn the trends of higher ed design. AR: Where do you go for inspiration? FD: Fashion and social media are the most accessible, but experiencing a place first hand makes all the difference. When I travel to other cities for either work or pleasure, my first priority is finding a well-designed restaurant or lounge with great food. You can truly “have a moment” with the little details that give a space character. 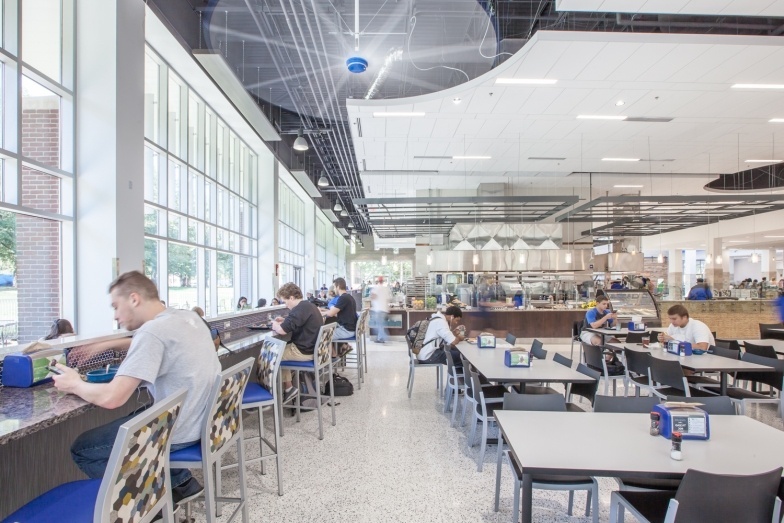 What are the trends you are seeing in university dining spaces? 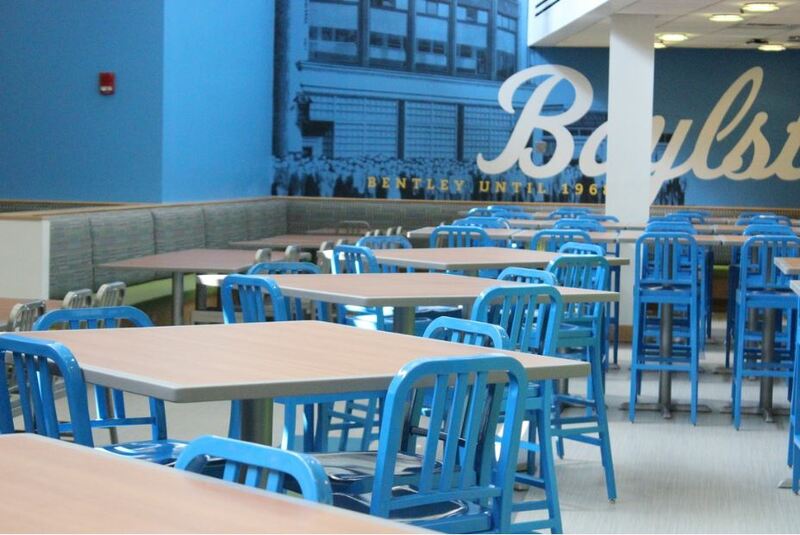 FD: Convenience and a focus on wellness are key factors in university dining. Things like app-based ordering platforms and kitchens that change to accommodate several brands play a huge role in making the dining experience more convenient. Wellness is a national trend, and we're excited to see universities as the forerunners in adopting wellness practices. We see this come into play through nutrition and social wellness. Nutritional wellness is when information is displayed for each entree via a mobile app while social wellness is creating a sense of community through family-style tables and spaces made for gathering. AR: Describe your favorite higher ed design project. Is it a specific location? FD: James Madison’s D-Hall, formerly known as "Gibbons." 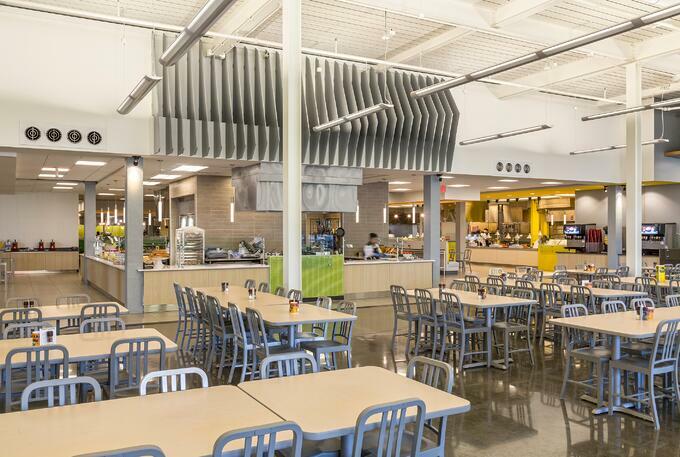 This facility was the first of its kind, it really set the bar for university dining. The most exciting challenge from this project for our team was coming up with a physical design solution for the Transformation Kitchen. Students are able to vote for their favorite restaurants and meals via an “on demand” platform. Each brand has its own color palette, logo, and cuisine which needs to shift as students demand it. We were able to bring the initial brand concepts to life and create finish palettes and custom mobile millwork that could shift to accommodate 2-3 rotating brands. Kudos to the client and design team for figuring out all the moving pieces to make what started as a dream become reality. It takes a village. AR: Is there a certain space you enjoy designing for the most in a higher ed project? AR: Knowing that you design for millennials and Gen Z now, do you ever take social media into account while designing? Visibility is increasingly important to this group. FD: Certainly. Social media and app based services are key factors in how you generate buzz and excitement around your brand. It’s really how most operations put themselves out there to establish a brand. We are always looking for design opportunities that create “Instagramable moments”...that could mean a neon sign on the wall, a logo burned into the corner of a table, or a really funky bathroom. As I mentioned before, the factor of convenience is a major player in how universities cater to and recruit students. 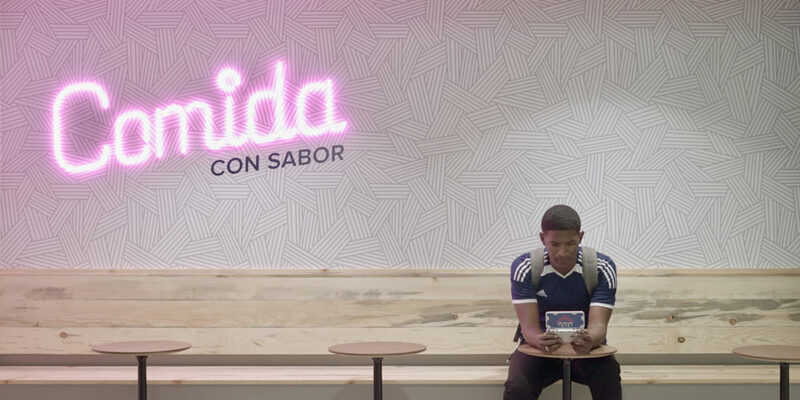 The ability to order your food on your phone, review nutritional content in real time, and study with a small group all in the same space is very important to Gen Z.
AR: The cafeteria has seemed to morph into a multi-functional space. How do you approach such a multi-faceted design? FD: You have to do your homework. It’s really important for your team to have an understanding of campus culture. What might work for one university may be totally irrelevant at another. A designer needs to look into furniture trends, how people and students work and interact to understand how the space needs to serve both current and future uses (i.e. changes in technology). AR: From my research, the redesign rate for universities is/was every 7-10 years. 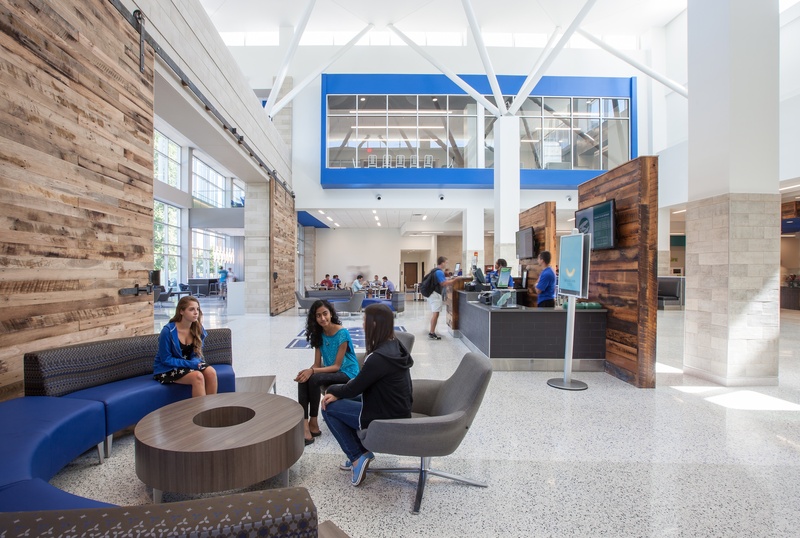 Do you think the rate of redesign will increase now that more about more students/faculty are expecting modern design? FD: Yes and no. In non-dining applications, you can approach a project with timeless, classic design. A designer can focus “trendy materials” and design elements in a way that they are easily replaced 10 years down the line. In university dining, yes but on a smaller scale. We see these flex spaces as a way to transform the primary function or brand with minimal construction and downtime. I’m curious to see how Lean design and pre-fab design will play into design trends moving forward. (i.e., movable walls within a larger shell). AR: What is your dream design project? FD: My dream design project would definitely be a local restaurant here in Louisiana. To be involved from initial concepts to branding and menus…all the way to adding the finishing touches would be the ideal project opportunity. The ability to have your project site close by would allow for a very hands-on approach to the project. As a firm that works across the nation, a site right down the street is something that can be taken for granted. AR: Are there any trends in interior design that you would like to see fade away into the abyss? FD: Glass/stone mix backsplash tile. This is already gone, right? Raw reclaimed wood. This is a great design element when it is done well and in the right application. After seeing it in every DIY project, it seemed to lose its appeal. For more higher ed inspiration, be sure to check out our higher education page below.